Fighting Through Hell With Suicide Commanders! 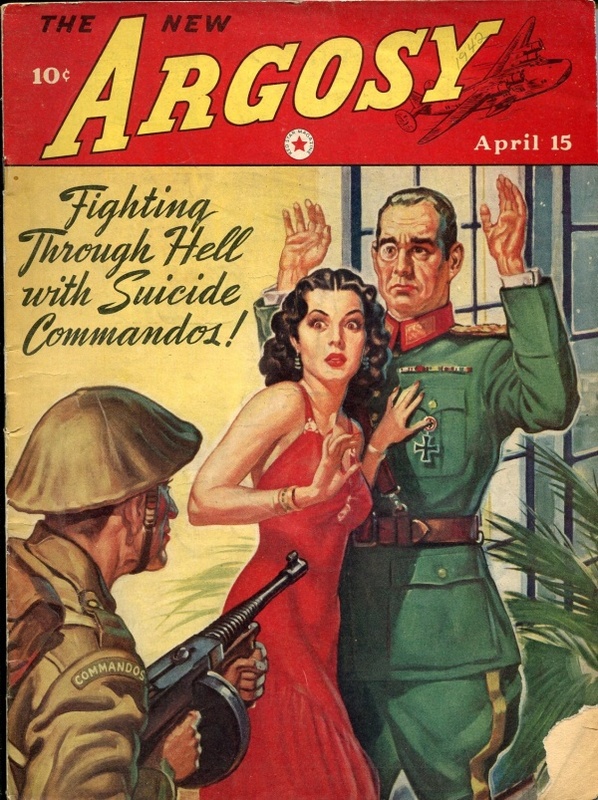 I find it interesting that in April 1942, cover artists hadn’t yet started emphasizing the Nazi aspect of the Germans. This officer could easily be from WWI instead. Quite right. He looks like he’s sad to be letting the Kaiser down.